Maserati North America is recalling more than 1,000 of its newest luxury cars to fix leaky fuel pipes that increase the potential for an engine fire. The 2018 Ghibli and Quattroporte sedans -- with prices starting at $73,050 and $105,600, respectively -- have a faulty fuel delivery pipe in the engine compartment that may leak gasoline, the company said. The cars haven’t yet been delivered to customers, and they’ll be fixed before individuals are able to drive off with them, according to Matteo Sardi, a spokesman for the carmaker. The company said the flaw, caused by a part from supplier SumiRiko Italy, affects all 1,406 of the vehicles manufactured from July 24 through Dec. 14, when the problem was identified. Maserati is just the latest luxury carmaker forced into a recall. Earlier this month, Aston Martin announced a recall of more than 5,000 cars because of problems with the power train or battery cables. 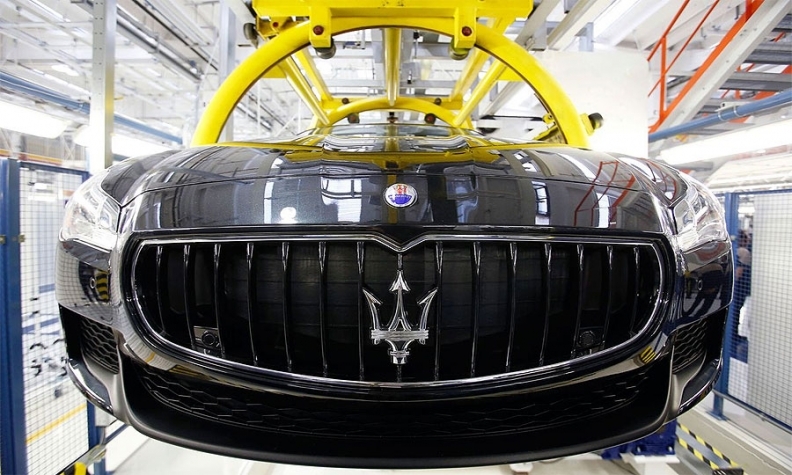 Maserati, a unit of Fiat Chrysler Automobiles, said affected vehicles will be fixed by replacing the line. A representative of SumiRiko, a unit of Japan’s Sumitomo Riko Co., didn’t return messages seeking comment outside of normal business hours.